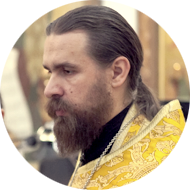 The Reverend Sergius Nezhbort, who is a priest of our Convent and the head of our Icon Painting Studio, is our guest today. We are going to talk with him how he became an icon painter; how the studio grew and developed; where its current painters learned and where they teach now; how creativity and the canon in icon painting work together; and a whole lot more. How did you become an icon painter? It’s hard to say how I became an icon painter; I’m not sure I ever became one. First of all, I had a dream. It just happened that when I came to the Church, the Lord revealed himself to me through the icon. This event changed everything: I started going to church and got baptised. The icon became my window into the Kingdom of Heaven. I simply wanted to believe that there would be a day when I would paint icons. At that time, I went to an arts school and learned to paint. I entertained that dream for a long time but after a while I realised that it was not going to happen: I didn’t have anyone who could teach me to paint icons and any chance to acquire this skill. I had to forget about my dream for some time. Five years later, that dream came true. I got involved in painting icons. I’ve been doing my best to keep up with it since that time. However, I don’t dare call myself an icon painter. Can you tell us about the history of the Icon Painting Studio? It was in the spring of 1999 that Larissa Nezhbort, Nun Lyudmila Leiko, and I founded the Icon Painting Studio with the blessing of Father Andrew Lemeshonok. Each of us had his or her own route to the icon painting. It was an audacious move because, in spite of our motivation, we lacked icon painting skills and everything else, too. We started from scratch. Little by little, new people were joining, and the Studio began to grow. A lot has changed since then. We didn’t know even the most basic things, such as how to cover an icon with gold leaf or how to grind the paints. The surface of our first icons was like sandpaper because we didn’t grind the paints properly. Today everything has changed, of course. We didn’t have study guides and did not have the opportunity to look at good samples that we have now. We only had several books, albums from home bookshelves, and it wasn’t enough, to be honest. I took a look at our old photos not long ago, and I was somewhat ashamed. Perhaps, it was merely a stage in our development, and we had to go through that stage. Now we are on a different level. When new people join, eager to learn how to paint icons, they can get the answers to their questions, which we have tested on ourselves. They can learn how to draw a sketch, how to cover the surface with gold leaf, and how to use a sample. It will take our students only one month to start using the methods that we had to experiment with for years. Who did you learn from? Archpriest Igor Latushko gave us the first props. We all knew him and asked him about the substantial, the inner workings of an icon, rather than just professional advice. For example, he could clearly explain why this or that saint was portrayed in a certain way and what the meaning and symbolise of an icon of a certain feast was. It was necessary for us at that point because we were professional artists but not icon painters. For me personally, it was crucial to be helping Andrey Kozikov, a famous icon painter. As an apprentice in his studio, I saw the work of an icon painter from within and saw how hard it was. I couldn’t do a whole lot of things, but I could gesso icon boards, wash the floor or the palette… I was very happy to contribute to this process. Now, when I paint icons on my own, I realise that it would be much harder without that experience. These were the two people who really helped me in the beginning. We didn’t have specific teachers. Most likely, we learned from one another by reading books, exploring iconographic samples, and praying. 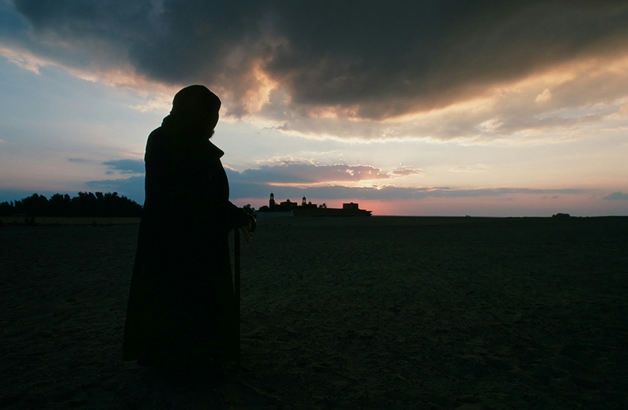 We visited Archimandrite Zinon (Teodor) several times but I cannot claim that he was our teacher. He was always welcoming, which was important for us at that time. Well, you can learn a lot even if you simply look at his icons and see him working. How do you paint an icon? Figuratively speaking, an icon has the body, the soul, and the spirit, just like a human being. It is always difficult to speak about the spiritual aspect and it is much easier to speak about icon painting as a craft. 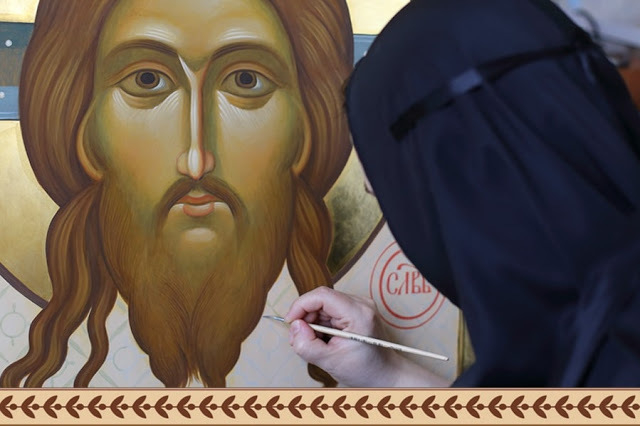 An icon is painted in a traditional fashion. We resolved from the outset that we would paint icons using only traditional methods, as opposed to new technologies, modern paints and primers. We use the methods known since ancient times. We paint on a dried lime or pine board with the carved-out centre. The board is gessoed, i.e. coated with several layers of primer, which consists of chalk and glue, until it has a smooth and polished surface. Our paints are made of minerals and even semi-precious stones, e.g., lazurite, malachite, etc. We paint icons based on earlier samples. 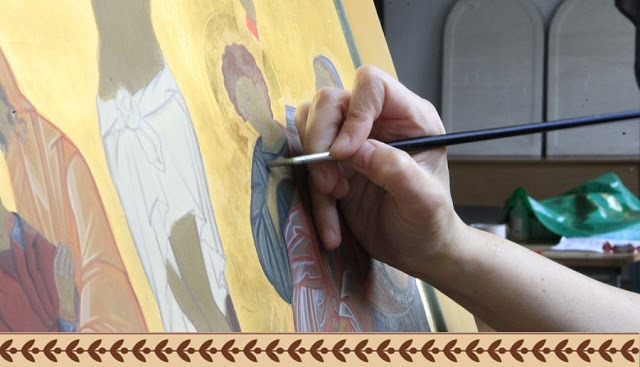 An icon painter looks at the sample and outlines the contours. The background or the halo are then covered with gold leaf, and the icon painter proceeds to paint the vestments and buildings, followed by hands and faces. Lastly, the icon is finished with linseed oil. These are the main stages but everyone follows them in a different way. As a rule, one’s soul and inner life inadvertently reverberates in his or her painting. An icon is some kind of a spiritual barometer that shows the inner state of the icon painter. If an artist expresses himself in his work and enjoys seeing his skill reflected in his picture, you will look at the icon like in a mirror and see your untruth. It exposes you and makes you really sad. The difficulty of an icon painter’s ministry is that, although you can clearly see that you’re unprepared, you’ve got to keep on painting. The Lord helps through the icon. When the person faces his own untruth, he is inclined to seek God in order to be transformed and live according to God’s truth. How should we treat printed icons? An icon is an icon regardless of how it is made: using paints or a printing press. If an icon is made according to the rules and consecrated, it is sacred. Printed icons may not always be to your personal liking but tastes differ, you know. Praise God that everyone can have an icon in his or her home today because if there were only painted icons, not everyone could afford them because they are quite expensive. On the other hand, there is a negative side to it because people in ancient times used to treat every image like a treasure, given that not everyone can paint an icon, and if something is hard to make, then it is perceived as more valuable. Nowadays, there are plenty of printed icons, thousands of copies, and people unfortunately tend to lose the feeling of awe that they used to have when they saw a painted icon. What are the traditions that have influenced your painting style? It’s hard to say. 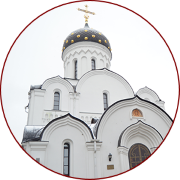 At first, we were inspired by Ancient Russian icons, such as the paintings of Andrei Rublev and Dionysius. Currently, there are plenty of resources for icon painters: books and papers on Byzantine icons and samples of 6th-century iconography are available and easily accessible. It is this diversity that shapes one’s iconographic style. That is why we don’t have any mainstream trend. Nevertheless, there are icon painters whose works set the standard, so to say, and other icon painters in our Studio try to follow it. We are grounded in contemporary iconography, too: for instance, the works by the icon painters of Holy Trinity St Sergius Lavra. We follow the general directions of contemporary iconographic art. Please tell us a couple of words about creativity in icon painting. It’s a philosophical conundrum. How do you define creativity and canon? Every person has his own definition. The Greek word “canon” literally means a straight stick, that is, it shows whether a line is straight or not. The canon is not a set of rules: it is the language of the Church. You can perceive the canon as a rigid scheme but you can also interpret unrestrained creativity as sickly. The Lord breathed creativity into every human being. People are made in the image of God the Creator. An icon is where God meets us humans. There is a human being and there is God; an icon painter witnesses this encounter and paints an icon. This is how a true icon appears, e.g., the Holy Trinity by Andrei Rublev. It is evident that the icon of Holy Trinity is not a human fantasy, it’s the highest level of creativity. It becomes part of the canon. The canon does not emerge out of abstract and far-fetched theorizing. It appears at the crossroads where God and human meet, and people who witness this encounter suddenly realise that this is something that they can and should imitate. That is how the canon is shaped. 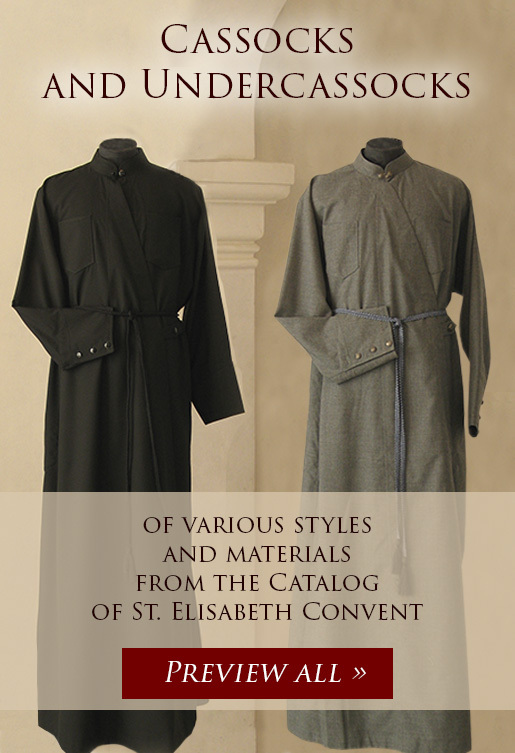 You cannot treat the canon as an unchangeable touchstone. Today, we have to paint icons of newly-canonised saints. There aren’t any icons of these holy men and women; but we have their photos, so we icon painters have to deal with them in a creative way. After all, the Church is alive, and life cannot be static. Tell us about your students, please. There are people who are willing to engage with the icon. Some leave and some stay, it’s like everywhere else in life. How does a tree grow? Some branches shoot out leaves, and some wither away. That’s what it’s like in our studio, too. There are people who attempt to serve God by painting icons, and we try to share our experiences. We don’t think that we can rightfully call ourselves ‘teachers’ and them, ‘students’. We simply try to share something that we have learned. Is there any difference between an icon painter and an artist? painting is an obedience in the Church. There are various obediences in the Church: some people sing in the choir, some read the Gospel, and some wipe the floor. All obediences are important, and you can’t say that one is better and the other is worse. Every obedience is indispensable and necessary. As far as the comparison between an artist and an icon painter is concerned, an icon painter is necessary because people need new icons for new churches; whereas an artist is also necessary because people are looking for beauty, and it doesn’t always need to be limited to the church. I suppose, every artist feels God even in the outside world: in nature, in other people, and in relationships. So I believe that there is no conflict between an icon painter and an artist. They simply have different tasks. An icon painter’s task is more specific. Generally, I believe that everyone is an artist in a certain sense. You cannot isolate one from the other. What are the icons that you paint most often? The face of the Holy Saviour is the most frequently painted icon. It is the most important icon, and therefore, most people want to have it in their homes. Same with the icons of the Mother of God. Many people also want to have icons of their namesake saints painted. Is icon painting a collaborative art? Sure. Even if you look at it from the technical viewpoint: one person makes the wooden board, another person covers it with gesso, yet another person plates it with gold, and finally, yet another person paints the icon. Only if they work together and in unity can the icon see the light of day. Every icon painter must remember that everything he does is a reflection of the prayer of the whole Church. The more eagerly people seek for God, the easier it is for us to paint icons. If we turn to the history, the 15th century is the golden age of icon painting. It was the time of a spiritual revival but later, in the time of a spiritual crisis, it was more difficult for icon painters to work on the same level. 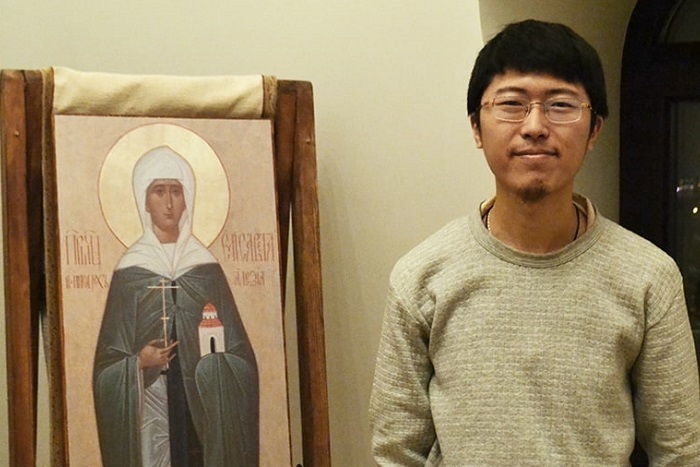 Judging by the number of new icon painting studios established in the late 20th and the early 21st century, now is the time of a new spiritual revival. Icon painters indicate the current state of humankind. It is important for people who come to church and look at the icons to understand that the icons were not created by a single individual. Icons are the result of many people’s prayer.